Here’s the Summary for September 9, 2014 (for previous summary, please see Summary for September 8, 2014). 1. During the so-called ‘ceasefire’ in Donbas, 5 Ukrainian servicemen died (4 of whom served in the Ukrainian Armed Forces), another 33 were wounded. As was to be expected, the Russian-terrorist army made the ‘ceasefire’ bloody. We went through this in June already. However, it is clear that these guys are aiming for something higher: the ‘Prime Minister’ of the DNR [Donetsk People’s Republic], A. Zakharchenko, claimed today that the DNR wants the entire territory of the Donetsk oblasts [regions] and will not agree to the special status of only the portion it is now controlling. On their part, the Ukrainian troops are reinforcing their defenses. Everyone understands very well that every meter of Ukrainian soil given to the occupants now will be returned later with great effort and, possibly, losses. 2. The head of the military-medical department of the Ukrainian Ministry of Defense said today that about 170 million UAH are needed to provide Ukrainian servicemen with individual medical kits that are up to NATO standards. “This is more than our (military medical) budget, what we are getting for the treatment of the wounded,” he added, having expressed the hope that the issue will be resolved somehow. It’s a strange situation. Three months ago, Information Resistance was asked for help to solve a problem by the head of one of the American volunteer funds: his organization was unable to import several thousand NATO individual medical kits [IFAK’s] into Ukraine for ATO troops – they required customs clearance. We contacted the appropriate government agencies, and the issue was beginning to be addressed, when suddenly it stalled again: the main concern was to certify the contents of the first-aid kits for Ukrainian standards. In the event of a force majeure like war, our legislation provides no simplified procedures. Oh, the Regionals are too good. To make the economy fall apart, steal hundreds of billions, destroy the army and special forces, turn courts and law enforcement into the whores of Yanukovich’s regime, bathe Maidan in blood – and lo and behold, it’s a ‘party for peace and the salvation of the economy.’ And how are we to call these esteemed sirs while remaining within the boundaries of etiquette? If these creatures have any consciousness, it may be measured in the smallest units possible. To wit, various unhealthy information attacks on the government team have begun with the start of the electoral campaign. For example, the lie that the First Deputy Head of the Presidential Administration, Y. Kosiuk, is resigning. The Administration denied this message. I don’t think that rumors about various human intrigues at “the top” [of government] will make the atmosphere any healthier in such hard times. 1. The agreements of the Ukrainian government on the exchange of prisoners of war still apply. The mercenaries so far have not abandoned their commitments. Today they claimed that they intend to release the remaining 863 Ukrainian servicemen by the end of the week. Accordingly, the Ukrainian security forces must release 311 captured terrorists. No comments here. Considering how these monsters treat our hostages, we cannot wish such a fate upon anyone. 2. There is information that our heroes, the boys that fought and still fight in the ATO, will appear in party electoral lists. 3. A new round of stories about the crash of the Malaysian Boeing. The preliminary report of the Dutch Safety Board says that the plane was technically sound and was struck from the outside by a large number of “high-energy objects” (this description obviously fits only impressive elements of anti-aircraft missiles). At the same time, BBC Panorama journalists found eyewitnesses that claim the Russian military who were in charge of the ‘BUK’ missile launch complex had been seen in the area from which the Malaysian Boeing was presumably shot down. 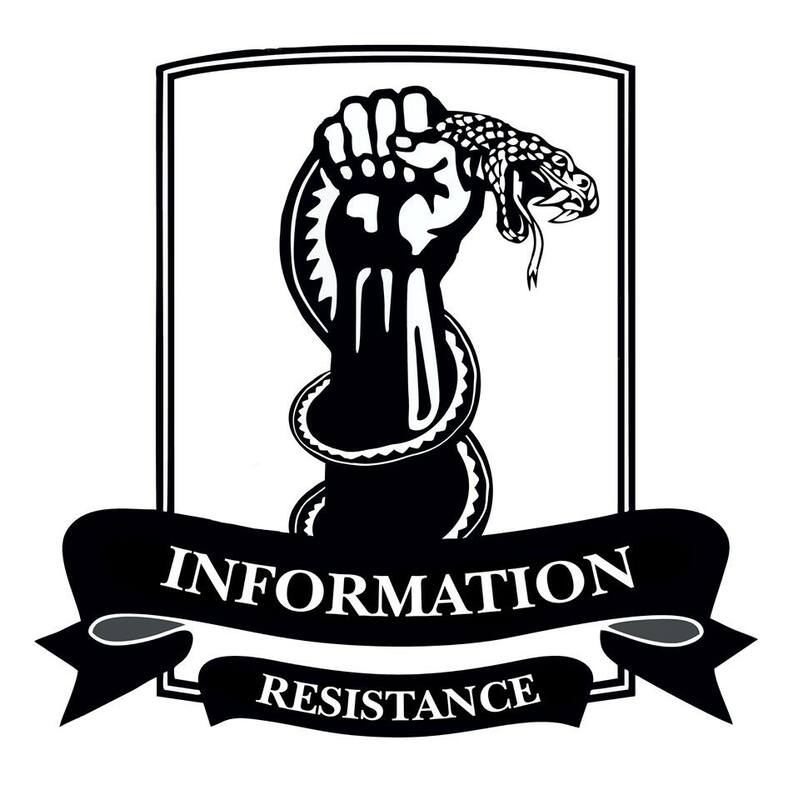 I have no doubt that, in the end, the assertion made by Information Resistance at the very beginning of this tragic story will be confirmed: the plane was downed by, not even local mercenaries, but by particularly Russian servicemen who illegally invaded Ukrainian territory and took part in combat against the Ukrainian army. Ahead are clearly still a lot of political squabbles, but the world will sooner or later find out the name of the monster who organized this bloody terrorist attack. Although it’s no secret that he’s called Vladimir Vladimirovich [Putin]. This entry was posted in Dmitry Tymchuk, English, English News, South&Eastern Ukraine, War in Donbas and tagged #RussiaInvadedUkraine, #RussiaViolatedCeasefire, #SaveUkraine, #UkraineUnderAttack, Dmitry Tymchuk, Information Resistance, Ukraine. Bookmark the permalink.